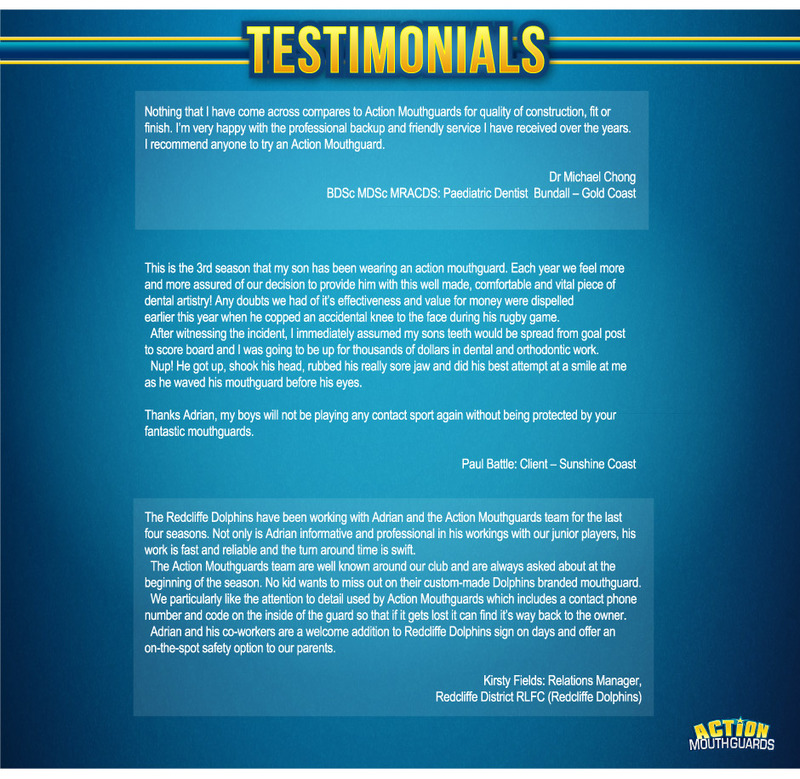 Action Mouthguards is an Australian owned and operated business. Our work is conducted by an AHPRA certified Dental Prosthetist Adrian McCarthy AdvDipDP (Syd) registered by the Dental Board of Australia. With over 18 years of experience we aim to help you keep your smile in tact after every game, whether you win or lose.